Louisiana Department of Wildlife and Fisheries enforcement agents recently cited a man for alleged amphibian violations and arrested a woman for alleged drug violations in Evangeline Parish. Agents cited Kirk Reed, 41, and arrested Crystal Jones, 40, both from Baslie. Reed was cited for collecting frogs without a basic fishing license and selling frogs without a reptile and amphibian collector’s licence. Jones was arrested for possession of marijuana, illegal possession of prescription pills, illegal possession of tramadol pills, and possession of methamphetamine and drug paraphernalia. Agents received a tip that Reed was selling frogs on a social media site and set up a meeting through a confidential informant. Reed was attempting to sell the informant 20 cleaned frogs, but had none of the required licences. 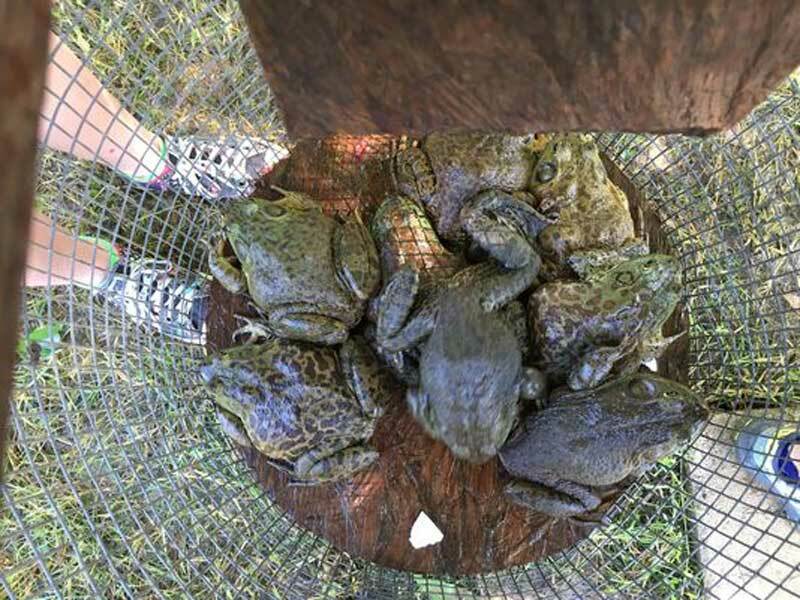 Agents were in the process of seizing 40 frogs' legs from Reed’s truck when they smelled a strong odour of marijuana emitting from a purse that belonged to Jones sitting next to the container of frogs' legs. After receiving permission to look in the purse, agents discovered Jones in possession of marijuana, methamphetamine, a number of pills without a prescription including tramadol and drug paraphernalia. Selling frogs without a reptile and amphibian collector’s licence brings a $250 to $500 fine and up to 90 days in jail. Collecting frogs without a basic fishing licence carries up to a $50 fine and 15 days in jail. Possession of methamphetamine carries up to a $5,000 fine and five years in jail. Possession of marijuana brings up to a $500 fine and six months in jail. Illegal possession of the prescription pills each brings up to a $5,000 fine and five years in jail. Illegal possession of tramadol pills carries up to a $25,000 fine and five years in jail.